Walter Segal. Image from bdonline. Walter Segal has become synonymous with the Self Build movement which he did so much to champion through his architecture and writings. He developed a system of house building that relied on readily available materials and tools, and minimal technical expertise. Structures were defined by timber frames, using paving slabs as foundations and flat felt lined roofs. “Wet trades” such as bricklaying and plastering were eschewed in favour of cladding, lining and insulating. Due to their technical limitations, the design of these houses tend to resemble old English or Japanese frame houses, in their simplicity and functionality. The most famous estate of Segal inspired Self Builds is in the borough of Lewisham, where in the mid 1970’s the council allocated some unused and commercially unsuitable land for self building homes. It still remains there to this day, a typically understated monument to the Segal vision of self sufficiency. 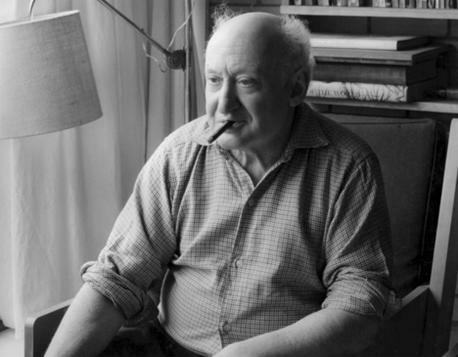 Segal was born in 1907 in Berlin and lived there with his Romanian Jewish parents until 1914, when they moved to a utopian community in Monte Verita, in Ascona, Switzerland. Segal later studied architecture back in Berlin and also Delft, the Netherlands. In 1936 he moved to London and met Eva, an architectural student at the AA. They married and lived in Highgate, and took on commissions together. During this time Segal also wrote for magazines such as Building and Architect & Building News, as well as books on architecture, beside his architectural work. Eva died in 1950, and Walter was later remarried to Moira Scott. It was at Scott’s house, in the shadow of Highpoint, that Segal produced his first self build home, for himself. While the family home was being demolished and rebuilt, they lived in a self designed and built house in the garden that took two weeks to build and only cost £800. As well as his self build ideas, Segal also left behind a number of buildings he designed. Most of his buildings are homes in London and the South East, but two of his early commissions where the Tretol Offices (1955) in Burnt Oak, and the Premium Pickle Factory in Hackney (1958, now demolished). Examples of his house designs can be seen throughout North London, in Mill Hill, Golders Green, Hendon, Hampstead and Highgate. Two of his most interesting house designs are St. Anne’s Close in Highgate (1951) and 4-5a Tasker Road, Belsize (1963). St. Anne’s Close is a group of houses built by Segal for himself and his friends in the shadow of St. Anne’s Church. The houses themselves are not radical in design, but traditionally constructed of brick and have pitched pantiled roofs. The innovation comes in the communal layout of the close, with the houses around a shared green and unfenced gardens. A vision of cooperative middle class living nearly 20 years before it would become fashionable. Viewed from street level the houses in Tasker Road seem to form a complete contrast to the bucolic St. Anne’s Close. The frontages of the three terraced dwellings are windowless, with the only features a front and garage door. However behind the severe brick fronts, the houses are formed of long spacious rooms, with the back of the buildings glazed floor to ceiling and facing onto south facing garden courtyards. This set of houses were the last Segal created in brick, before dedicating himself fully to his self build ideas through the 1970’s and to his death in 1985. At the time of his passing in 1985, Segals ideas were the opposite of the prevailing architectural fashions and economic theories. Extravagant Hi-Tech and Post-Modernist buildings dominated the urban landscape, and the housing bubble had started expanding, helped by the introduction of the Right to Buy scheme. Nearly 30 years later, the wheel has turned, and Segal’s ideas of cooperation, sustainability and self reliance have become fashionable again in an era of credit crunch, Grand Designs and eco consciousness. Of course Segal’s ideas will never become redundant, and will always be relevant to those wanting to use collective effort to create a better world. Featured Buildings: Ovington Square, Rutland Gate, St. Anne's Close, Tasker Road, Tretol Offices.